Staging a house properly has become an essential part of attracting buyers and selling a home as quickly as possible. To get a leg up on the competition, you must appeal to as many buyers as possible with a clean, inviting, well-staged home. Staging a house properly has become an essential part of attracting buyers and selling a home as quickly as possible. The housing market in the Dallas-Fort Worth area is competitive, largely due in part to a shortage of homes available to the numbers of those looking to buy. To get a leg up on the competition, you must appeal to as many buyers as possible with a clean, inviting, well-staged home. When it comes to staging a house, sellers should first start with a clean slate. A home should be immaculately cleaned — from top to bottom. This means that blinds and fixtures should be free of dust and baseboards, and floors should be spotless. Cleaning the exterior is important, too. Consider power-washing all walkways and patio areas. According to interior design blogger Laura Gaskill, boosting curb appeal is important because many buyers will determine whether they want to see the interior of a home based on its outward appearance. Be sure to trim all hedges and trees for a neat appearance and plant seasonal flowers to create an inviting, homey feel. Once your home is clean, you can begin the staging process. The following are five tips that will assist in the process. In lived-in homes, it’s common practice to arrange furniture like easy chairs and sofas against a wall. HGTV recommends pulling furniture away from walls to achieve a larger feel and improve the flow of a room. Consider staging chairs and other living room furniture together as “conversational” groups. The tastes of prospective buyers may vary, and you want your home to appeal to as many folks as possible. If your master bedroom currently looks overly feminine or masculine, consider swapping out bed linens and wall decor for items that set a more neutral tone. 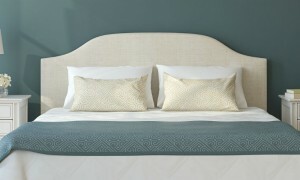 Houzz encourages the use of neutral, crisp linens with an earthy-colored blanket placed over the foot of the bed. That rich red accent wall could turn away buyers. If you have walls with bright, vivid colors, paint them a fresh, clean neutral color. Neutral hues don’t have to be yellowish-beige or stark white. You can choose soft mochas or grayish tones to set a sophisticated yet appealing tone. If you have a small room that serves only as a catchall for clutter or an unused spare bedroom, bring in pieces and decor to make the space seem more functional. For example, a chaise lounge, an end table, and a lamp can turn any undefined space into a charming reading nook. An unused bedroom could easily double as a home workspace with chic office furniture. 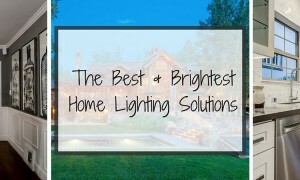 Lighting is important for creating a cozy and inviting atmosphere. In addition to high-wattage overhead lighting, use table and floor lamps to add more light. Placing a lamp can help draw attention to beautiful furniture and focal points in a room. For example, HGTV suggests placing table lamps on either side of a bed. Staging a house is a big undertaking. It takes hard work both indoors and outdoors. These tips can help get you started. For additional help, you can consult a local interior designer who specializes in staging. Your real estate agent will likely have great recommendations for professional staging tips, too. Looking for more tips on selling your home? Read through Coldwell Banker’s seller resources.